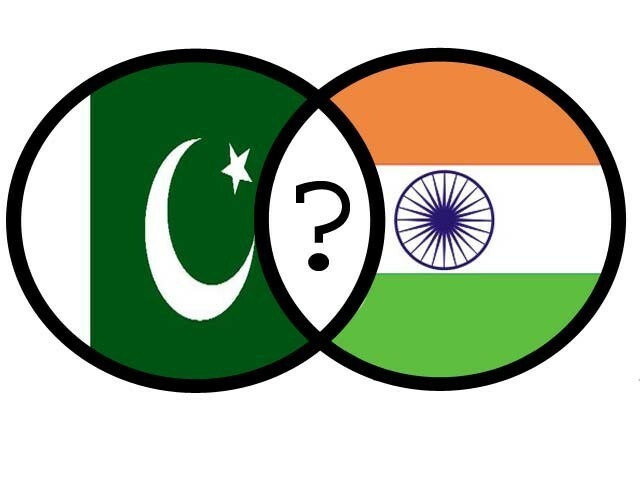 Was the Two Nation Theory flawed? Pakistan, the product of the two-nation theory, is struggling to be a nation, 65 years after conception. Much of this is the unintended consequence of the theory. Jinnah had realised that the theory had the potential for unleashing fissiparous tendencies that would cripple national development. Just three days prior to independence, he called on Pakistanis not to interject religion into their public lives. The important role of minorities was enshrined in the national flag with a white bar. Jinnah’s call was a tall order that would test the mettle of his countrymen. Soon after his death, they succumbed to the centrifugal forces of religious intolerance unleashed by the notion that Muslims were so different from Hindus that they constituted a nation of their own. They were unable to comply with the centripetal forces of “unity, faith, and discipline” that Jinnah espoused in every other speech during his short tenure as governor general. The theory failed to build a nation because it was mired in contradictions. If Muslims and Hindus were two separate nations, then how were the Hindus in Pakistan going to lead normal lives? Their lives would be just as circumscribed as the lives of the Muslims left behind in India. How realistic were Jinnah’s calls for relegating religion to the private sphere, coming within days after religion had been used to create their nation? This U-turn was as incomprehensible to the common man as it was to the political scientist. The theory’s central premise was shattered when East Pakistan, home to a majority of Pakistanis, broke away in 1971. It proved that the Muslims living in the western and eastern provinces were two nations and not one. Going a few centuries back in time, when the Timurid prince Babur invaded northern India in 1526, was it not the case that he had attacked a Muslim ruler, Sultan Ibrahim Lodhi, and not a Hindu ruler? If Muslims were indeed a single nation, then why would Babur mount the attack? Being Muslim did not represent political unity. Indeed, wasn’t Muslim history full of battles and fights between Muslims in which the most atrocious war crimes had been carried out? If they shared a common religion, history, social mores and cultural values, why were Muslims unable to live in peace and harmony with each other? Was religion unable to bridge differences in ethnicity, language, culture, history and geography? If it could not bridge these ‘secular’ differences, then how was it supposed to bring peace and harmony among the ethnically eclectic and geographically diverse groups that were to comprise Pakistan? Even if Hindus and Muslims were truly two separate nations, was it not still possible for them to live amicably in a single country, like they had done for the most part under British rule for a century and under Mughal rule for two prior centuries. How was it that Hindus, who were in majority, had allowed themselves to be ruled by a minority during the Mughal period but that Muslims, facing the prospect of independence from the British, were unwilling to allow themselves to be ruled by the majority? Furthermore, why should the theory only be true in pre-partition India? If it were true, then Muslims everywhere should be living in a single country, not in 56 countries (just in the Arab world there are 23.) If religion is not sufficient to bind all Muslims into a single country, then how could it bind the Muslims of India into a single country? What is there to prevent the theory from being invoked in all other countries where Muslims are in a minority? What is there to prevent the proliferation of ‘little Pakistan’ in the US, Europe or Latin America? The fact that none of this has happened invalidates the theory’s central postulate. In science, a theory is only accepted if it stands up to evidence; the two-nation theory does not and should be rejected. Not so, say its adherents. They have converted the theory into a dogma which leads them to assert that Pakistan’s serial failures are due to bad leadership and not faults in the design. As Pakistanis ponder their future, they should reflect on why Jinnah, who used religion to create Pakistan, also urged them to confine it to their private lives. Time has exposed the contradictions of the two nation theory. As a basis for nationhood, religion is divisive. If it is to survive the current crisis, one of many that has visited it in the past decade, each worse than its predecessor, another basis will have to be found for Pakistan’s nationhood. An economist and a political commentator based in San Francisco. Author of "Rethinking the National Security of Pakistan" and "Musharraf's Pakistan, Bush's America and the Middle East." From Egypt to Pakistan: Why are we infatuated by the Army? I am an Indian and I believe Two Nation Theory is correct! Pakistan, was and will remain the best thing to have happened to India. Muslims were always distinct from Hindus-Sikhs-Jains-Buddhists. Same reason why a Sikh has been PM for almost a decade and nobody has a problem with it. The history of the Islamic world in the modern era tells a story. I’ll only quote examples, leave the inference to you all. Malaysia: 40% non-Muslim. Sharia law implemented. Ethiopia: 35% Muslim. Call for Sharia by Muslims. Militants affiliated to Al Qaeda are waging a war against the state to achieve this. Egypt: Same thing really. Muslim Brotherhood promised modernity and but gave an Islamist Constitution, minority rights trampled upon. Turkey: Strictly secular Military’s powers are being clipped by an Islamist leaning Democratic Govt. When sufficient power is acquired by the Islamist powers, things will turn ugly. The above scenarios are purely facts and as the author suggests science suggests theories are tested against evidence and then widely accepted. Jinnah was right, but you don’t create nations based on such theories of division. Gandhi, Nehru spoke of unity, Jinnah of division. There lies all the difference. He also said there should be Sharia in Pakistan. What about that? We need to create separate hindu nation for hindus in pakistan. Ali sharukh is a mullah. he got all the fame from yash raj . but just because some politician told something he keeps speaking against entire india. and also what is wrong in asking him to move to pakistan . he is not indian he is a pakistani residing in india. @Trax: Get over this Nani, Dadi bedtime kahani myth! The Brits never played divide and rule, it was the ‘My tolerance runs out at the tip of my nose’ syndrome which gave birth to the Two Nation Theory and caused the partition. Jinnah was not an ORACLE sue him !! And I was not aware that for any theory to be correct there is a 65 year testing period to check !! The facts and ground reality are that Hinduism and Islam are entirely differnt but South Asians culturaly Are quite similar ! Using the religion as a divide and rule POLITICAL Conquest point within south Asia would have resulted and in a much more fierce result for the whole region and this still remains true ! But admitting a differnce is NOT licencing the minorities to be punished for the same ! What we are doing is not a consequence of “Two Nation Theory” but the very same reason “Two Nation Theory” was coined to prevent ! Also its not at all Islamic either !! and what’s the point of asking this question after 65 yeas??? you should have thought about this question way back before 1947.
for now it has proved to be the best thing that happened to India. @Anoop: you are right. I am a Pakistani muslim and i second your idea that partition was the best thing ever happened to India. In fact, “true Islam” is Utopia and muslims want to chase it wherever they are above 10%. Thier religion is not religion but an ideology which demands complete submission from its followers(at least in theory). Political islam is worst thing ever discovered by muslim scholars in 20 century. Had we been together, muslims would have made India, a worst place to live in in pusuance of establishment of Islamic state in all India over. Pakistan and Bangladesh apart, now you can live in peace with remaining muslims in minority. Beats me when some of the coments here are being made to compare indian state of affair with that of Pakistan. The writer of this blog is simply asking one question- Has the objective of creating Pakistan( whatever may be the reason) been achieved or not. Or atleast is Pakisan moving in the right direction? It is an illusion to imagine a muslim and a hindu with a single Nationality, said Mr Jinnah in 1940. It was true then and it is true today and shall be true for all times to come. The task for muslims living in India to extricate themselves from the majority of non-believers has not diminished. The process of a dialogue has not been broken, says the Indian High Commissoner. Really?? When did Jinnah tell you about this? There are 3 muslims among the top 10 in tnis list, the second also being a muslim. Does this show treatment of Muslims as second class citizens in Indian society, their social status, disparity in opportunities available to them and exclusion from society. Muslims themselves are to blame for their problems. Till 1971, most of muslims in India thought that Pakistan was their future (mustaqbil) and they were in India on a temporary basis. While the rest of Indians were struggling to improve their lot, they were waiting to migrate. Separation of Bangladesh from Pakistan brought an awakening among Indian muslims that all was not well on the other side. They have been left behind by a quarter of century. It will take time to catch up. Just to make things interesting. Jinnah on his death bed whispered to Liaquat Ali Khan that Pakistan was his “biggest mistake”. Time Magazine quotes Jinnah thus and creates an uproar in India. It was obviously not allowed to be published in Pakistan. Ilahi Baksh, who was Jinnah’s Physician for a while, and also served Alama Iqbal, wrote a book about it all. He quotes Jinnah in the book admitting to Liaquat about his mistake in creating Pakistan. Or in the Time Magazine archives. Most of the time when I read from the ET opinion and especially the blog, one thing just came to my mind again and again and that is, if you really want to be write something just pick up some story of brutality/negative side of Pakistan or even better about Islam and ET will be more than happy to let your post be part of its blog. There are 2 issues here. Validity of 2 nation theory and existence of Pakistan as an independent state which we should not confuse. I and most Indians like me would be as unwilling to roll back partition today as people in Pakistan. However I do not believe in the TNT. What it says is that Hindus and Muslims are 2 nations and cannot live together in one nation. Well Hindus and Muslims DO live together in India, so if I accepted the 2NT, I would have to disown the Indian Muslims which I am certainly unwilling to do. Moreover what about Sikhs, Jains, Buddhists, Christians, Parsis, atheists and agnostics – what nation would they belong to if there were 2 nations – one for Hindus and one for Muslims? What perhaps maybe accurate is that if Muslims are in majority, they will not give equal rights to people of other faith. We have seen this play out in Pakistan. This was a cultural corruption not something that was inherently part of Hinduism. You should go to sources besides Pakistan studies if you want to learn about Hinduism. OFcourse there is no need for you to learn about Hinduism – but then don’t opine about a religion that you know very little about. Correction to what you say – Sikhs and Christians are amongst the most hardworking, educated and prosperous communities. Shah Rukh was hired by Hindu producers for the most part. HE worked with Hindu heroines who had no problem working with him. His movies were attached by Hindus who made him a star. He may have faced problems going to US after 9/11 but that had no impact in India. He only faced a backlash when he chose to support Pakistani cricketers in the IPL which was just held right after 26/11. This is why some people questioned his loyalty to India at that time. That incident is now history and several of his movies since then have grossed 100+ crores in India and not faced any resistance whatsoever. In fact when the US immigration detained him for interrogation, it is Indian government that sought an apology on his behalf. Jaya Bacchan had also got into a controversy when she said Hum UP wale hain. She is a Hindu. Controversial statements and cntroversies that follow thereafter for public figures like film stars are the norm whether the star is Hindu or Muslim. By no means is Shah Rukh and example of Muslims being treated as a second class citizen in India. @Queen: Please continue to live in Pakistan. None but the author himself is raising a question that is contradicting your claims!!!! The author is from Pakistan. Please use logic and common sense, if SRK was discriminated, how did he become a superstar.? The extent of religious prejudice is reaching heights in Pakistan that even common sense is lacking among some educated!!! So you can eliminate minorites as you are muslim but you expect rights and status when you live in a nomuslim nation? right? Tarek Fatah on the two nation theory and Pakistan’s denial of their south Asian roots. “Indian civilization is 5,000 years old and its origins are the Indus Valley. It is disgraceful for anyone born on the Indus or its tributaries to deny their Indianness. It’s as if a Frenchman says he is not European. For sake of accuracy I would like to comment and provide some back ground to your generalizations. CORRECTION: Malaysia is 61% Muslim and Sharia only applies to Muslims (and on top of that only in matters such as marriage, inheritance, divorce, apostasy, religious conversion, and custody among others). No other criminal or civil offences are under the jurisdiction of the Shariah courts. CORRECTION: Militants are waging war for a separate homeland for People in Ogden region which is Somali by ethnicity. As a trend any time there is a freedom movement in Muslim world both nationalists and religious elements start together, but religious element wins because of broader support base (generally from Muslims of other ethnicities providing them support based on common element ie religion) . So essentially it is a separatist war (thanks to colonial powers). Nobody is looking to implement Sharia in entire Ethiopia. CORRECTION: Mali (and a lot of other African countries have straight line borders which were drawn on table between colonial powers) same case for Mali, Mali has Black Africans in the south and North Africans Tuaregs (who are not black) the north. Tuareg land was divided between 4 countries by colonial powers. So this started as a Nationalist separatist movement initiated by “National Movement for the Liberation of Azawad”. However as what happened in Afghanistan, Kashmir Chechnya etc where they all started as a nationalist movement but was rather high jacked by Islamic militants is happening in North Mali as well. West did not bother helping Tuaregs in their struggle but came running now when Islamists are taking control and sidelined Tuaregs. Even if they kick Islamists out Tuareg issue in North Mali is still not resolved. So root cause is colonial powers drawing unnatural borders dividing people and tribes in multiple countries. CORRECTION: Somalis war started as a civil war between various clans after Saeed Barre government was thrown out. Union if Islamic Courts was only stable government that they had after decades, they were Islamic inspired but not fanatic by any means. However when Ethiopia invaded Somalia with US air cover and drove UIC government out, Al Shabab who are fanatics moved in and took control. And ironically enough Sheikh Ahmad (of UIC) was then chosen as president of Somali government in exile and now they are trying to bring same person back in rule. Fanatics Al Shabab are a result of US invasion and intervention in Somalia. UIC and its head Sheikh Ahmed was started to bring calm in the country, which was disturbed by Ethiopian/US Invasion. Remember Iran, when it was once a secular democracy under Mosadik in the 50s and CIA toppled him and brought an absolute monarch (Dictator the Shah), and as a reaction Iran went extreme and became a religious theocracy. Had they left Mosadik complete his term and let democracy evolve, Iran would have been very different. They repeated the same mistake 50 years later in Somalia. CORRECTION: Have you even read (at least highlights) of the constitution. Muslim brother hood is a democratic and charity organization. They WON election in Egypt and Tunisia, and they lost in Libya. Their constitution was put to a referendum and approved by the people. CORRECTION: Turkey’s army is not Secular. Turkey is secular now. Secularism means religions are free to practice and state does not interfere. Turkish army prohibited Muslims from performing many rites of their faith. Now they can (along with all religions). Canada allows Sikhs to carry ceremonial daggers and exempt them from helmets when wearing a turban, this is called secularism not what Turkey used to be under military. AK Party is no different than Christian Democrats of Europe. Turkey’s GDP per capita doubled in their 2 terms and is projected to double in next 8 years again. Even non-religious Turks support current government. (Well they won 3 straight elections that is enough proof). Putting military back in barracks and stopping their interference was required (still more needs to be done in Turkey). I hope Pakistan one day can follow that and our military stays in barracks and is under civilian control. Gandhi, Nehru spoke of unity, Jinnah of division. That’s a question worth trillions of Dollars. Will u agree if a local christian says he ruled you for 200 years because his religion is same as the British monarchy?? “We have an amazing, democratic, free and secular way of life. In the environs that we live here in my country India, we have no safety issues regarding life or material. As a matter of fact, it is irksome for me to clarify this non-existent issue… My own family and friends are like a mini-India,” he wrote. Khan implored people to actually read his article before reacting to it, adding that people shouldn’t be misled by those who “use religion as an anchor for unrest and a policy of divide and rule”. How could a segment of population -just 2% – create problems for 98% of the population and that too for “centuries”? Was that 98% a collection of zombies? Or, was that 2% made up of bin Qasims who used coercion? If they did or could, would it be wrong to assume that preponderant majority of that 98% colluded with that minuscule 2%? Mind your language! Even 2% have a right to express its opinion howsoever unpalatable it may be to you. Indian Constitution is not sacrosanct. It is a work in progress. Remind yourself if India had listened to the minuscule minority which opposed Nehruvian idiocy, we would not find ourselves lagging by 50 years or so. No one can blame Nehru if rest of Indians went along! To those taking pot-shots at India over the perceived lack of safety, trust, and love for our muslim compatriots because of SRK’s recent article, please read SRK’s reply to all the controversy it has generated, and stop the abuse, please. This is similar to blaming democracy for poor governance and unprecedented corruption. After 65 years, Pakistanis had plenty of opportunities to fix it even if it was broken in 1947. But no, like everything else, these shameless Pakistanis always blame their incompetence on someone else. Right on the spot.Three nation theory already vindicated.Now that free Balochistan is a matter of time,Four Nation Theory is on the way……..
Not only Jinnah but Indra Gandhi also believed in TNT, when in 1971 she did not let the Hindu Banglas join Bangladesh. I profoundly disagree with this blog. 1) Jinnah, the politician, was making a political argument, a political argument that virtually ALL politicians make! We can or cannot do xyz. To hold him to that for the rest of time is moronic. When it was no longer a political argument but a reality, he pivoted. Again, ALL politicians do this! 4) The failure of ALL politicians post-Jinnah is no reason to blame Jinnah for his brainchild. It is like blaming Washington for America’s failure to its many minorities or Ben-Gurion for a fault in Israel. Is there any doubt had Jinnah ruled for at least 10 years that Pakistan would be in the position of a failed like it is today? Washington had two terms, Ataturk and Nehru had the better part of two decades. 5) The failure of Pakistan to treat its own well again does not lie with Jinnah. The success of Bangladesh actually supports his argument. He wanted a separate country in the East. The British were not willing to deal. Indians go to america/canada for earning: this does not make India & america one nation. 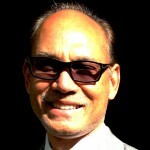 @BRUISED INDIAN: I am amazed by your memory. Thanks for your appreciation. You know it needs so much courage when you have to think out of the box:above all the brainwashing to which you have been through. In the end, you find truth but it comes at a high price. That price is that you lose peace of mind. @Queen: Probably you have not spent life in India. I am no advocate of the Caste system but it is a much more complex system. It is princiapally based on work and skills. Hence some castes have all relations except marriages, some have no relations at all. But since it was less a religious matter and more an organization of society, it still prevails. Point 1 and 2 make sense but rest are not correct. 3) Calling Muslim disfranchised is wrong as subcontinent has been ruled by Muslims most of the time. 5) Jinnah claimed that Muslims in India have more things in common with Arabs and Central Asians than with their neighbors. Bangladesh proved that it was not the case. It turned out that even east Pakistani Muslims have not much in common with west Pakistanis.